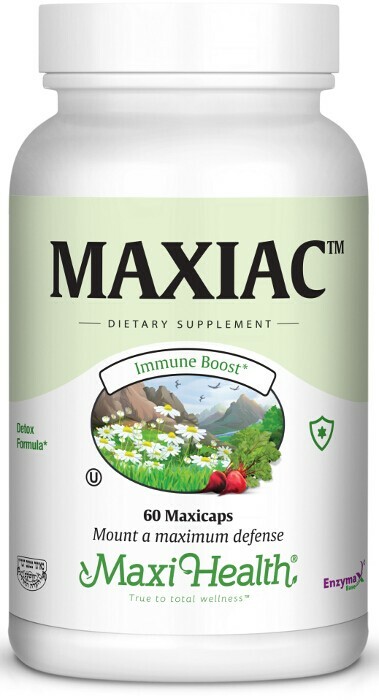 Maxiac­™ by Maxi Health Research® is a unique combination of Burdock Root, sheep sorrel, Rhubarb and Red Clover tops. The active constituents in burdock root are Insulin and mucilage. Red Clover contains large amounts of isoflavones, the agent in soy that has estrogenic activity. It’s a superior supplement for both men and women. Try Maxiac™ today. Take two (2) Maxicaps™ twice daily with meals, or as directed.